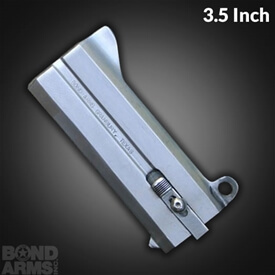 The longest barrel currently offered for the Bond Arms Derringer, this 4.25 inch barrel also known as the Snake Slayer IV, barrel comes in three calibers, .45 Colt/.410, .45Colt, and .357 Mag/.38 Special! 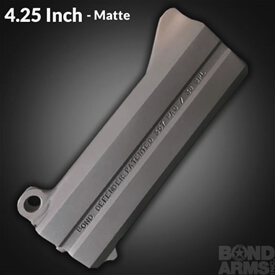 Like all Bond Arms Derringer barrels, this 4.25 inch barrel will fit any and all Bond Arms Derringers. 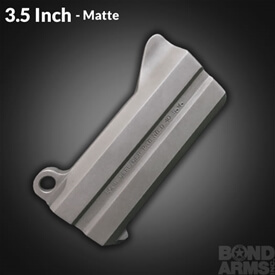 So whether you are looking to give your derringer a different look or expand the caliber capability of you favorite conceal and carry firearm, you can be sure this Bond Arms replacement barrel will perform with the style and reliability you expect from Bond Arms. 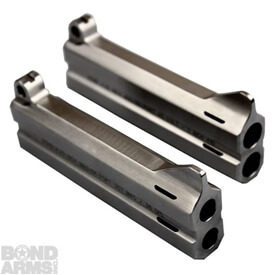 The longest barrel currently offered for the Bond Arms Derringer, this 4.25 inch barrel also known as the Snake Slayer IV barrel comes in three calibers, .45 Colt/.410, .45Colt, and .357 Mag/.38 Special.